Halfway to Halloween + Happy Walpurgisnacht! Happy April 30th, which not only marks Walpurgisnacht (aka Witches' Night aka Hexennacht) where the veil is thin and witches can be seen flying through the skies to their sabbats, but also marks the halfway point to Halloween - only six months to go until the best holiday! If you haven't read any of my previous posts on Walpurgis, it is a holiday that was, and still is, celebrated in Germany where tales tell of witches taking to the skies on the way to the region's tallest peak, Brocken, to gather in dark celebration. In honor of these legends, people light bonfires to drive away evil spirits and welcome the arrival of spring with dancing, feasting and frolicking (very much like the pagan Beltane festival tomorrow, on May 1st). If you are interested in learning more about Witches' Night, I wrote more about it last year. This Sunday, April 30th marks the halfway point to Halloween as well as the celebration of Walpurgisnacht, or Witches' Night! I've already talked a lot about Walpurgis in previous posts, but I also wanted to highlight how excited I am that we are only six months away from my favorite holiday, Halloween! 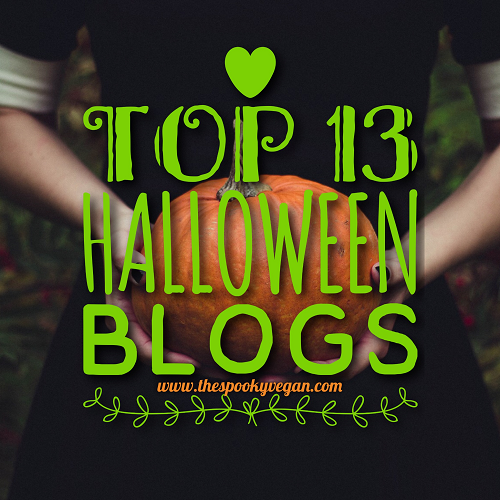 I always get so pumped for Halloween this time of year that it is just natural to want to do something special to mark the halfway point! 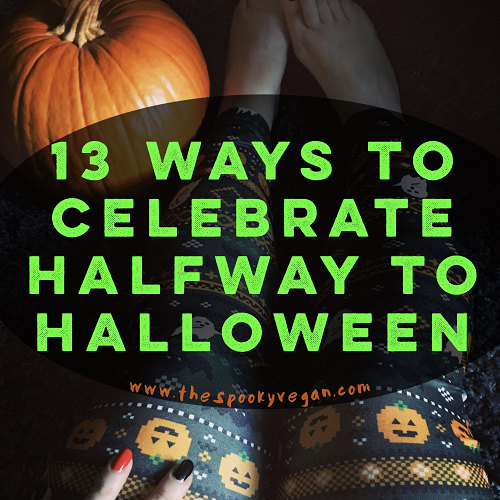 Last year I shared a list of ways to celebrate Halfway to Halloween, so this year I thought I would do it again to continue the tradition. Walpurgisnacht, or Witches' Night, is nearly upon us and will arrive this Sunday, April 30th! You can read about the holiday and its traditions in past posts I've written about here and here! While traditional Walpurgis celebrations were used to ward off witches, nowadays witches are celebrated around this holiday. 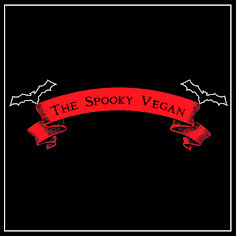 It's neat to see how many more people in the United States have become aware of this witchy spring festival - I only just found out about it a few years ago and now I adore it since it not only celebrates witches but also marks the halfway point to Halloween, and what is more Halloweenie than witches? There are lots of ways to celebrate Walpurgisnacht (if you are in Southern California, you don't want to miss Witches Night at Phantom Carriage Brewery - read about it here! ), but if you want a low-key way to celebrate, watching witchy movies is perfect! And I've put together a list of 20 of my favorite movies featuring witches! They cover several genres, so they aren't all horror films, and of course this isn't an exhaustive list, just a few of my faves! Please feel free to add your own favorites in the comments section. We celebrate Earth Day to honor our planet and to reflect on how we can better take care of it and preserve it for future generations. There are lots of things you can do this Earth Day (and every day) to make a difference - recycling, composting, reducing what you buy, volunteering to pick up trash along your local beach/parks, mindfully purchasing local products and food, and so on. However, the biggest impact you can make is to go vegan! On past Earth Days (here and here), I've written about how going vegan can greatly reduce your footprint on the world, but I just like to reiterate the huge impact going vegan has on not just yourself, but our planet, and how it is the single biggest positive change you can make for the environment, for yourself, and for the animals! 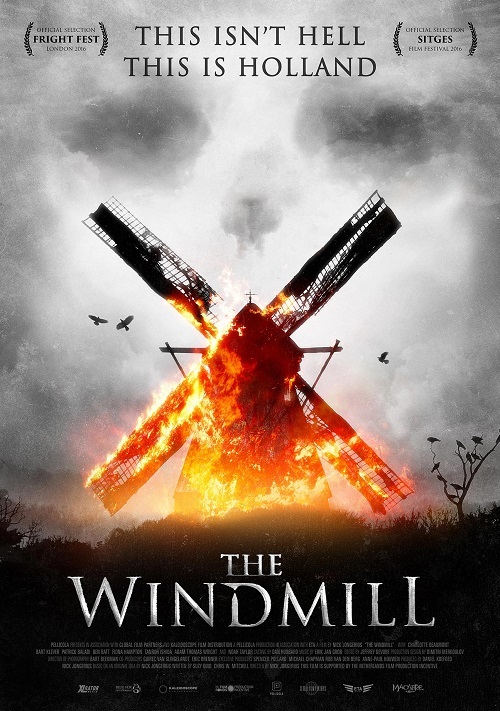 Judging from its cover, trailer snippet, and description on Netflix, The Windmill looked like a run-of-the-mill (no pun intended) slasher flick, so when I settled in to watch it I was expecting a mediocre horror flick, something I could put on in the background while I fiddled on my phone one evening. To my surprise, I was sucked into the movie and actually found it fun and entertaining! Synopsis: A rag-tag group of tourists in Holland board an old bus for a tour of the country's famous windmills. When their tour bus breaks down, they become stranded by an ominous old windmill and those with dark secrets are picked off one by one by a malevolent miller. Thanks to Haute Macabre, I found out that there is a brand new WitchEmoji app from artist Pam Grossman! With Walpurgisnacht aka Witches' Night right around the corner, it seems like a perfect time to download this app, which comes with 80 different witchy emoji! Plus, I adore how WitchEmoji fully integrates into iMessage on iPhones and iPads, and, unlike apps like Goth Emoji (which I LOVE, btw!) where you copy/paste emoji into your text message, this one works with your iMessage to add to a text with just a touch (no copy/paste necessary). 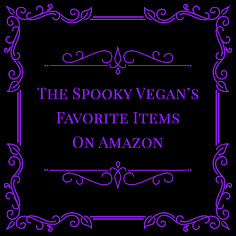 The app has so many creepy-cute images of witches, warlocks, moons, broomsticks, black cats, potions, spell books, symbols, goats, daggers, goblets, and many other witchy accessories, ensuring you will be able to text your coven with cuteness! Whenever I want to switch it up from using my own homemade vegan deodorant, I turn to Schmidt's! Besides my own DIY deodorant, I find that it is only vegan deodorant that works to keep me feeling and smelling fresh all day, even through hot days or hard workouts. I adore their Cedarwood and Juniper deodorant (and they have many other scents! 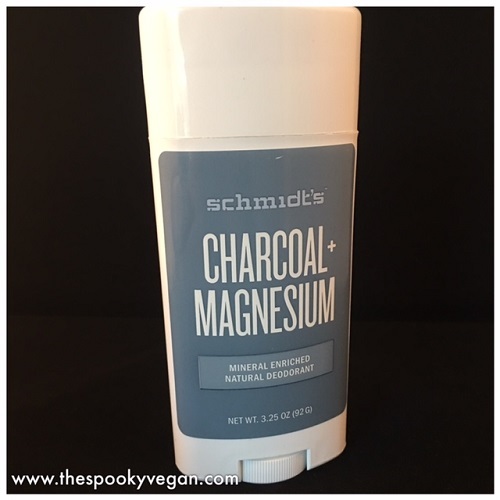 ), but I was excited to try their brand new Charcoal + Magnesium Mineral Enriched Natural Deodorant they gave me at Expo West this past March. This, like their other products, is vegan, cruelty-free, and free of aluminum, propylene glycol, parabens and phthalates and does not contain any artificial fragrances. I am a sucker for charcoal anything, so I couldn't wait to try this out! I also love the scent itself, which smells like fresh, clean air after a thunderstorm in spring. Walpurgisnacht (Witches' Night) usually occurs on April 30th (unless it's a leap year), and marks the halfway point to Halloween. Historically it was believed that on Walpurgisnacht the veil between worlds becomes thinner (just like Halloween), and witches were able to take to the skies and travel to their mountaintop sabbats. 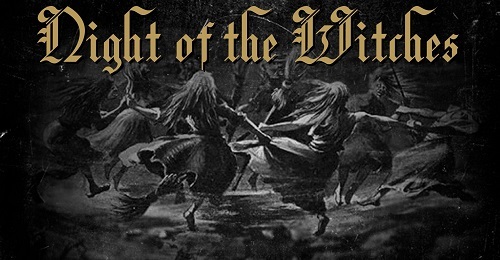 You can learn more about Walpurgisnacht from an article I wrote previously, and I am so thrilled that the good folks over at Death and The Maiden are celebrating it and allowing others to join in the fun with their Night of the Witches event! The event will be held on Walpurgisnacht (April 30th) at Phantom Carriage Brewery in Carson, California. There will be death positive talks on the funeral industry from mortician Amber Carvaly as well as an illustrated talk on Walpurgisnacht from Sarah Chavez. Food and drink specials will be served from Phantom Carriage's taproom, and a very special screening of The Love Witch by Anna Biller will be shown. Is there anything more comforting and nourishing than a big bowl of oatmeal? There is just something so cozy and relaxing about enjoying a hot bowl of oats, whether it's a cold, drizzly winter day or a bright, sunshine-filled summer day. 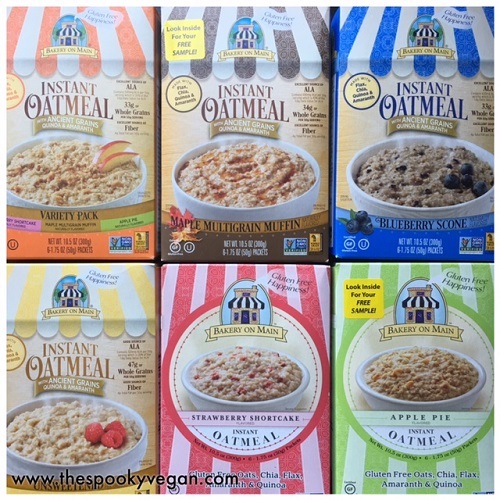 Plus, oatmeal is so nutritious and filling that it really puts a pep in your step to help you conquer your day! Spring is creeping up on us here (with summer not far behind) and if you are anything like me than you understand my dread at the inevitable sweltering, sunshine-filled days that are about to overtake us. 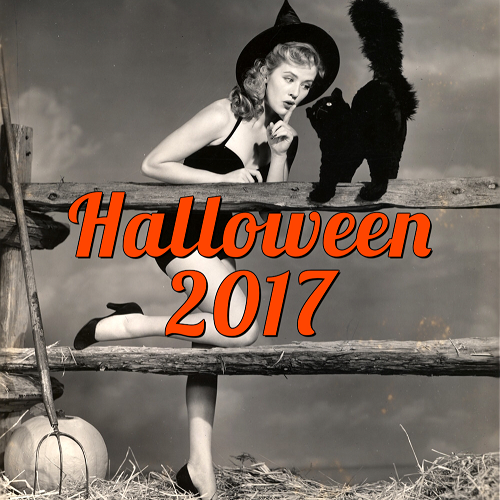 It has already reached the 80s here in SoCal (yuck), so to take my mind off of the impending doom of spring and summer I like to peruse like-minded Halloween blogs. If anything can make me happy during the doldrums of spring and summer it is looking forward to autumn and Halloween season! 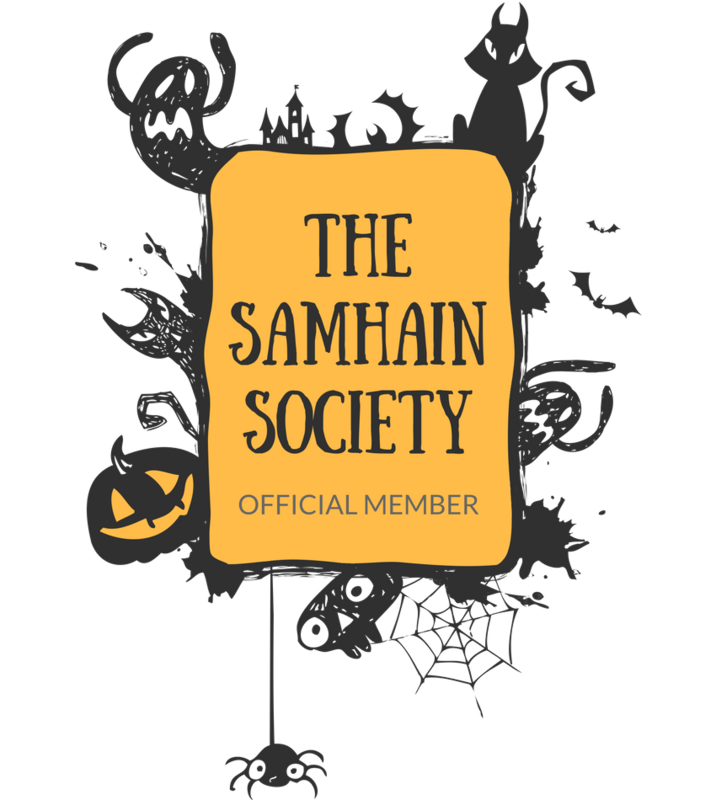 April 4, 2017 – Midsummer Scream Halloween Festival, the West Coast's premier Halloween, haunt, and horror convention returns July 29-30 to the Long Beach Convention Center for a weekend of world-class thrills and chills. One of the stand-out components of Midsummer Scream's impressive array of entertainment is the Hall of Shadows – a large portion of the convention’s show floor that is shrouded in darkness and filled with billowing fog, and roaming monsters on an unprecedented scale. For 2017, the Hall of Shadows will feature 14 highly-themed "mini haunts" representing professional and home-made attractions that fans can look forward to visiting this Halloween season here in Southern California. 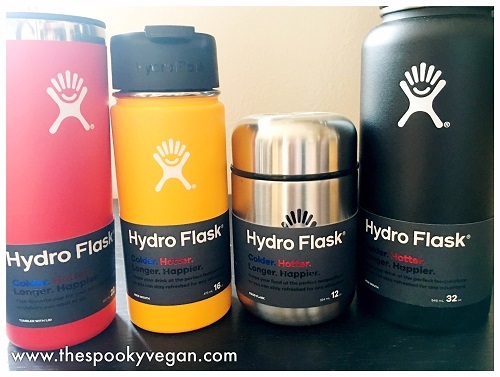 I love Hydro Flask and have been using their products for years. Their beverage bottles and food containers are special because of their ability to keep liquids ice cold for up to twenty-four hours or piping hot for up to six hours. They are made out of TempShield, a double-walled, vacuum insulated technology that maintains temperature and stainless steel that provides durability, strength, and prevents flavor transfer. Hydro Flasks are indispensable to me on a day-to-day basis, and I use mine every day and take it with me everywhere!